Jean Pierre Narvaez performs with Inter Wave during Secretfest at the ASU Secret Garden in Tempe, Arizona, on Saturday, Jan. 13, 2018. The Not So Secret Fest will be a smaller sequel to the Secret Fest that AMP held in January. Local bands such as Poison Ivy Peach Trees, James Band and BIG PROBLEM will perform. The festival will also feature the work of 19 local visual artists, most of which are ASU students. Ricky Arnold, a business entrepreneurship senior and treasurer for AMP said that while music will be what draws the crowd in, this event will put a premium on the pieces from those 19 artists. “We’re supposed to have more artists this time, with a smaller focus on music,” Arnold said. AMP, new to ASU this semester, focuses on utilizing the resources ASU provides for clubs, specifically funding from Undergraduate Student Government, to support the Tempe art and music scene. AMP is a revitalized version of The Underground Foundation, a now-defunct club that Arnold said was not taking advantage of ASU resources well enough. Now that the club is obtaining more funding from USG, and starting to set more goals, the shows and events it puts on are larger and better organized. Nick Rennemann, a graphic design junior and club vice-president, said the support from USG helps not only members of AMP, but also the broader music scene in Tempe as it provides an accessible platform for artists to experiment with their work. Michael Madrid, vocalist in James Band, said the local music scene in Tempe needs more avenues for up-and-coming bands to get their foot in the door. Clubs like AMP are what gives those smaller bands a chance, he said. AMP is pushing to create more events like the Not So Secret Fest in the future, and Arnold said he wants to make the upcoming shows more creative and distinctive. The club is planning on holding more events in the Secret Garden in the fall. The club is looking to expand its membership and intends to advertise itself more in the future. Arnold said he wants the club to move away from the typical leadership structure and instead have everyone in the club actively participating as one. Rennemann said AMP will continue to welcome onlookers into the Tempe music scene and give aspiring artists a chance to showcase their work. “We are providing an outlet for people to express their art in whatever way they make it,” Rennemann said. 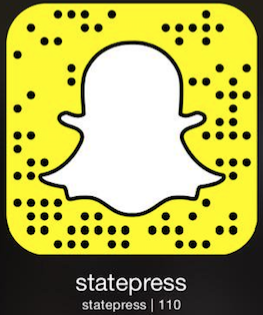 Reach the reporter at mmbarbe3@asu.edu and follow @meganbarbera_ on Twitter.